Christmas cookies and holiday recipes are popping up all over the Internet. Retail stores are sending inserts and emails to distract us with shopping specials. The kids are excitedly choosing costumes, making their Christmas lists and looking forward to all of the festivities of the holiday season. Excitement is in the air and a potpourri of emotions increase this time of year. Some of them will contribute to holiday weight gain; including the hopes of being able to stick to a weight loss resolution in the 2015 New Year. The problem is that most us of enter the holiday season already needing to lose weight and usually give up on our weight loss resolutions by February of the new year. If this is a cycle that you keep repeating year after year - read on and join us! No matter which of the holidays you celebrate (Halloween, Thanksgiving, Kwanza, Hanukkah, Christmas, New Years Eve, Valentine's Day, Super Bowl Sunday), there is no denying that extra temptations will be everywhere over the next few months. The holidays bring more candy jars, food advertisements, parties with goodies and your special occasions become extremely food intensive celebrations. Between the holidays themselves and all of the events leading up to the days, this time of the year is an emotional eater's nightmare. One thing for sure is that your weight loss goals can get lost in the festivities. 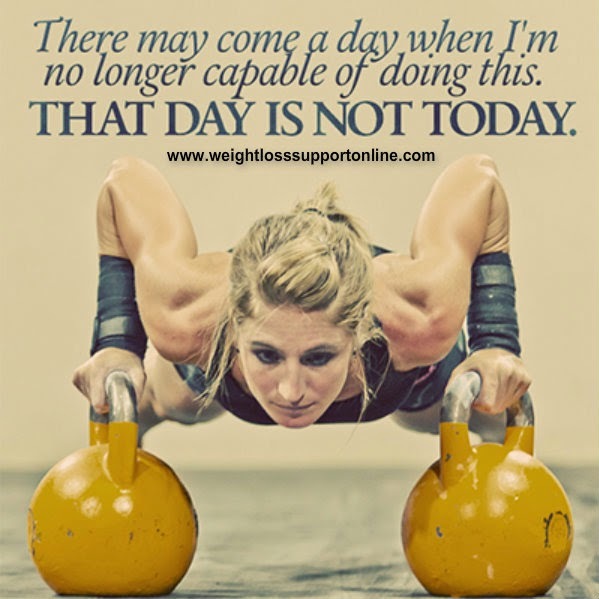 The key is not to let yourself get too far off track from your health goals and the Skinny Fiber challenge helps with that. This doesn't mean to deny yourself completely - that would make it a very miserable holiday season - but, if you start you weight loss challenge now, it will help you minimalize the holiday weight gain. Here are some reasons why losing weight will be incredible for you and why you should join the weight loss challenge with me now ... way before the New Year begins! Feeling good on the inside translates into looking and feeling good on the outside. When you eat right, maintain stress levels, drink the proper amount of water, exercise, diminish your salt and sugar intake, cook your own foods in healthy spices and minimize eating at fast food restaurants, en you contribute to your losing weight and feeling good on the inside. Begin with the foods that you will incorporate on a daily basis. Remember to include balanced meals and foods that are essential for a healthy body. A thinner, stronger and healthier body, means a new you that your friends and family will say they haven’t seen in awhile. Thus, starting your 2015 New Year at an advantage of not focusing on weight loss so despirately as you have in the past! You are increasing your weight loss success for the new year! By starting your weight loss challenge now, you can quickly implement your nutrition and fitness plan for losing weight and getting your body healthier for the 2015 New Year. As you begin to lose weight, you will starting to feel more energized. Less weight on your body to carry around means that your heart does not have to work as hard. It also means that there is less pressure on your bones and joints, allowing you to walk, run and move around easier. More weight in the core area (specifically the belly) does not allow the energy creating insulin to get to other parts of the body. This uneven distribution of insulin makes you feel fatigued and can lead to the devastating disease of diabetes. Also, massive amounts of weight can lead to other issues like heart disease, thyroid problems and a number of other weight related diseases. As you lose weight, with your new found energy, you will discover that there are so many things that you are able to do better than before. You will statistically do more of what you set on after discovering this energy again! Wouldn't it be an incredible feeling to come into a new year with so many other goals in mind? Starting your weight loss challenge now can help you with this by January! When your body is overweight, it begins to affect your mind. A healthy body must also have a healthy mind to continue to send the right signals in helping it function properly on a daily basis. When your body is unhealthy and filled with trashy substances, then it allows your mind to not develop properly and be misdirected down a path which makes the mind feel cloudy, unorganized, disoriented, depressed, consumed with fear, doubt and other negative emotions, that a healthy mind should not emit. When your body feels powerful and healthy, then your mind feels the same. The mind can then function properly, while leading the body in the way it should go. A healthy body weight, allows the body to heal naturally, as it was created to do, without the help of medicines or bandaging up the disease. When your body is at its’ desired weight and getting the nutrients that it needs on a daily basis, along with exercise, water and other ingredients that make up a healthy body, you will begin to see that not only will your body feel better because of the weight, but it will overlap into every area of your life, including your mind, body, soul and spirit. You will not feel overwhelmed by the holiday rush and can focus on tackling your other new year goals! Beginning the new year at your best is essential and losing weight is one of the best ways to get your body healthy. Your weight loss goals should be an important item on your "to do" list during the holiday season and before going into the 2015 New Year. It is an all natural appetite suppressant and curbs cravings. It also helps you block fat, increases your metabolism, aid with digestion and pushes toxins out of your body. If you join the 90 Day Weight Loss Challenge now and take your Skinny Fiber correctly, it will help you avoid falling into the same, old, trap of "holiday weight gain". It will also help you begin the 2015 New Year with a healthy lifestyle. Wouldn't it be awesome to maintain or lose weight this holiday season and not worry about a stressful weight loss resolution this year? Get started today and lets do this together! Join me at Facebook for healty recipes, motivation and weight loss support!